From shouting on the sidelines, Jeremy Corbyn finds himself suddenly catapulted into a position that should be the envy of any opposition leader. Theresa May’s pledge to seek a Brexit compromise plan with Labour’s boss has created “a Corbyn-May coalition government”, according to Tory arch-Brexiteer Jacob Rees-Mogg. That may be an exaggeration, despite the fury of Conservative Eurosceptics – but for a few days at least the Labour leader has been given real clout in the decision-making process. It could help steer the UK towards a “softer” Brexit. Traditionally a Eurosceptic himself, Corbyn has been criticised for at best lukewarm support for Remain in the 2016 referendum campaign. And Labour has pledged to respect the result. But now the timetable is incredibly tight, and the risks for Corbyn and his team are high. Labour is under conflicting pressure from backers of both “leave” and “remain” among its ranks. Failure in the novel consensus-building experiment could see the UK’s main opposition leader take the blame for the result, be it a no-deal Brexit or a long delay. Success could see him pilloried by Labour remainers for helping to deliver a “Tory Brexit”. A customs union – a Labour red line? Jeremy Corbyn responded positively to May’s offer, saying he would not set any limits. However, Labour’s wish for a customs union with the EU will be hard to reconcile with Conservative demands for an independent UK trade policy. When Labour rejected the government’s deal negotiated with the EU, it highlighted the lack of commitment to a customs union. “This is vital for allowing British businesses to easily sell their products to European markets. Without a comprehensive, permanent customs union, jobs could be on the line,” it argued. Labour’s original six tests for supporting a Brexit deal included a demand for the “exact same benefits” as membership of the EU’s single market and customs union. In his response to May’s invitation for talks, Corbyn said he would seek to secure a customs union with the EU and “access to those markets” as well as prioritise the protection of consumer, environmental and workers’ rights. Future arrangements – key to Labour support? “Any plan would have to agree the current Withdrawal Agreement,” Theresa May said in her statement on Tuesday. The legally-binding part of the divorce deal struck with the EU has failed to pass in parliament, largely due to hostility from Conservative Eurosceptics and Northern Irish DUP unionists to the “backstop” arrangements designed to keep an open Irish border. Labour has previously emphasised its opposition to the non-binding Political Declaration – the part of the deal dealing with future UK-EU relations. But Corbyn still instructed his MPs to oppose the government when it separated the two for the third failed vote in parliament, putting forward only the Withdrawal Agreement on the UK’s exit terms. For Corbyn, central to those arrangements is a customs union. A proposal in favour failed by only three votes when MPs held their second round of “indicative voting” to seek alternative options to the government’s deal. Even if the two leaders fail to agree a unified approach on future relations, May has opened the door for MPs to dictate the path ahead. It could be the key to getting her deal through parliament based on Labour, not Conservative and DUP votes. A customs union is not the only policy area where Labour support could hit Tory resistance. The party is also open to a 'Norway' policy involving single-market membership – and the free movement of workers. However, one issue that could prove explosive for both the opposition and the government is the question of a second EU referendum. The prime minister is resolutely opposed to another public vote, arguing it would destroy faith in democracy among people who voted to leave the EU in June 2016. Last September, Labour’s party conference voted overwhelmingly to keep a public vote as an option in the event of deadlock over Brexit. In February, Jeremy Corbyn – who had previously ruled out another referendum – said he would back a vote if the party’s own Brexit plan was rejected by parliament. Earlier this week the Labour leadership imposed a three-line whip on MPs to back a motion backing a referendum on whatever Brexit vote is passed by the House of Commons. But two dozen politicians rebelled, including two frontbenchers. The discord reflects Labour’s competing pressures: from a pro-EU, pro-referendum membership on the one hand, and from Brexit-supporting voters in many of its MPs’ constituencies. However, shadow foreign secretary Emily Thornberry and shadow Brexit minister Keir Starmer have both called this week for any deal agreed by parliament to be subject to a confirmatory public vote. Both have also argued that an option to remain in the EU should be on the ballot paper. After his first meeting with May – which he described as "useful but inconclusive" – Jeremy Corbyn tweeted to say he had raised the option of a public vote with the prime minister. But he stopped short of saying it should apply to any deal, stating that it would be “to prevent No Deal or leaving on a bad deal”. 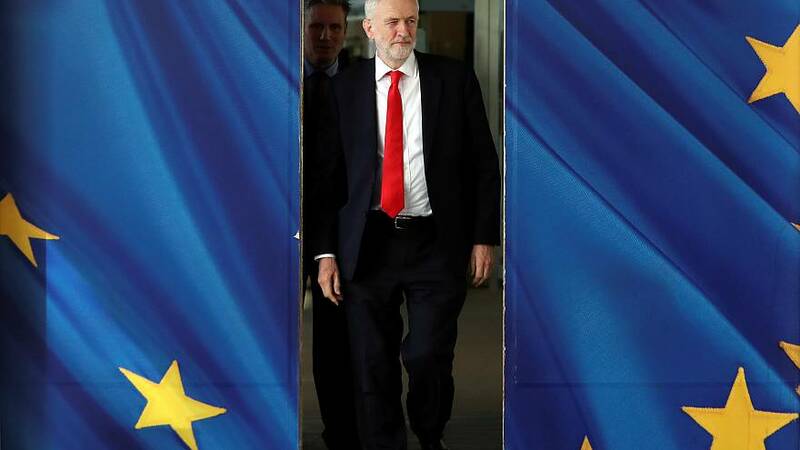 The Labour leader says he has agreed to meet the prime minister to seek a Brexit compromise “to ensure a disastrous No Deal outcome is prevented”, and to “give security and certainty to the people of this country”. However, there is precious little time to reach agreement – and some among the party leadership are reportedly sceptical over the chances of success. The European Council is said to want to see the UK’s proposals for a new Brexit plan well in advance of next week’s special summit of EU27 leaders – increasing the pressure still further. What is Theresa May's view on Brexit?